Marr Office Equipment is your one-stop solution for all of your office equipment needs. We offer on-site office equipment repair and service throughout southern New England, as well as drop-off service at our sales and service center just off I-95 in Pawtucket, RI. Contact us for the repair and service of your vintage manual and electric typewriters, fax machines, laser printers, multi-function printers, pen plotters, dot-matrix printers, copy machines, laptop computers, 3D Systems’ 3D printers, and calculators. We repair and service the following manufacturers: IBM, Lexmark, HP, Oki, Sharp, Cannon, NEC, Samsung, and many others. And stop by to see our selection of restored, used manual and electric typewriters for sale. In with the old - and in with the new! 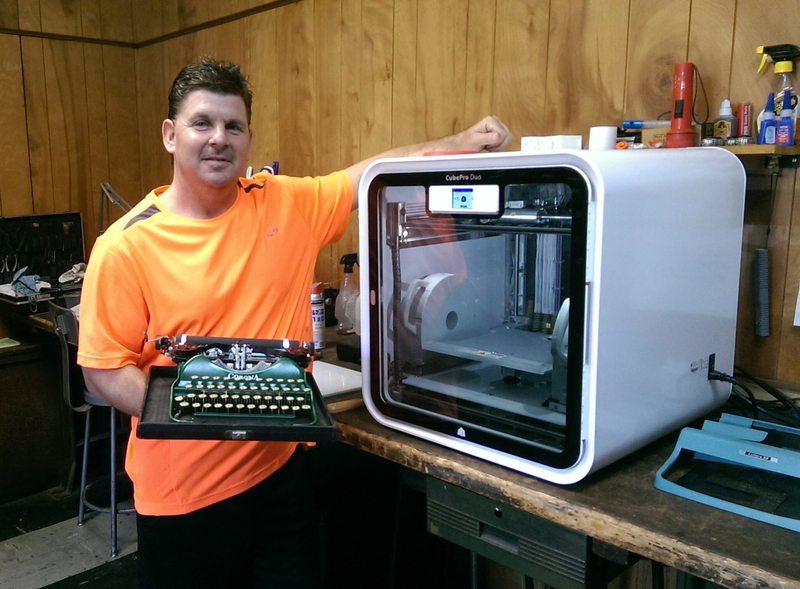 Mike Marr shows the range of the company's capabilities, from vintage typewriter repair to the sales and service of 3D printers from 3D Systems.